At the workshop, attendees were invited to write down at least one high priority challenge they set for themselves for the coming year. As stated in the agenda, “Members will be asked to report back to the network on progress, struggles, and achievements.” The Resource Center is prepared to help members achieve their goals in any way we can. We will check in with members who wrote down their challenges early in the new year to see how it is going. Members who were unable to attend the workshop are invited to send us their own high priority challenges for the coming year. We are very interested in seeing these, and will append them to the list below. Wouldn’t it be great if I…. 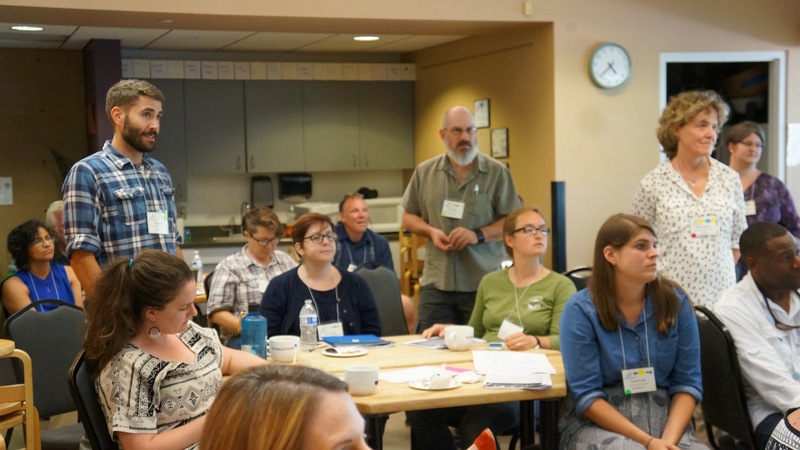 Adult leaders from across the country discuss new ideas for Teen Science Cafés. Could orchestrate a nationwide Teen Science Café via video. Improved our Café survey. Found internship opportunities for teen leaders. Got two Teen Science Café sites started at libraries this year. Identified and prepared our host librarians. Started a partnership with our partner university for recruiting scientists. Launched before the winter break. Connected with other Teen Science Cafés in my city. Organized a Teen Focus Group. Found five scientists. Reached 100 more teens who did not have exposure to my science discipline. Conducted marketing, created webcasts. Set up a teen leader workflow process for organizing cafés. Recruited specific teen leaders. Met with them to discuss workflow steps, finalize the workflow process, and implement. Mentored and trained a teen lead coordinator for my program. Got students excited about being teen leaders. Spent more time training and developed specific training goals Advertised on public school TV. 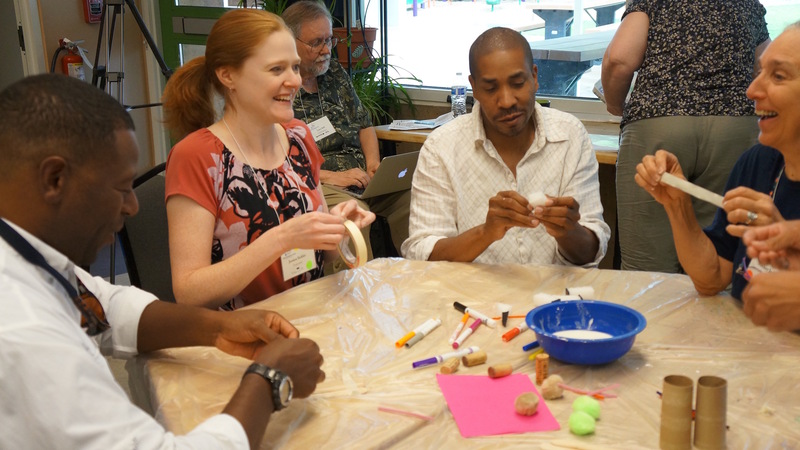 Adult leaders experience what a café hands-on activity is like. Got scientists to be playful. Improved games that facilitate the program, developed more connections. 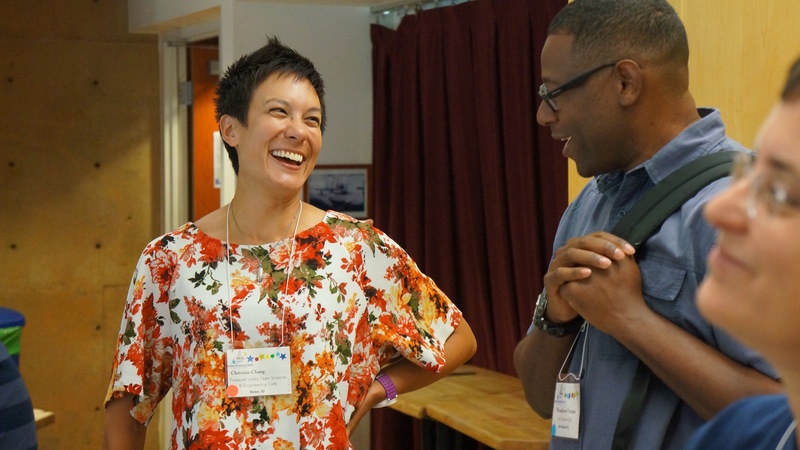 Set up a successful café, could get it started with a great teen leadership team. Made a connection to a university in order to have a viable, ready supply of scientists and their graduate students to present in cafés. Could have at least 3 cafés this year. Started a social media site. Located a community partner to support our cafés. Organized a group of scientists who will meet and be motivated to take more ownership of café programs. They would be more than “guest speakers.” Some of the things they would do is recruit other presenters, raise money, and give suggestions for café direction. Did an evaluation with the participation of teen leaders, worked with evaluator, implemented a survey, evaluated the results, and made changes for the better. Could streamline our scientist recruitment and preparation by connecting our Teen Science Café and Portal to the Public programs. Empowered and grew my teen leaders through leadership activities, an end of year field trip, and fun, inspiring and eye-opening cafés. Hosted 3-5 cafés before May. Recruited speakers and finalized funding. Hosted a teen recruitment picnic. Clarified the roles of adult leaders from collaborating departments. Scheduled meetings to negotiate, drafted role/tasks statement, and initiated roles for a pilot café this fall. Incorporated more hands-on activities into cafés. Got youth advisory council to develop ideas for such activities. Connected with a university or Portal to the Public organization. Contacted/reached out to them. Don’t give up! Established staffing needs and developed a budget. Strengthened my advisory board, clarifying commitments and expectations, and improving communication. Made greater advertising impacts with social media, posted often, got teens involved, had teens create posts. Brought teen leaders from across the state together for a workshop. Started up the first café. Got another “champion” for my program. Created cafés that other schools in the state wanted to join or replicate. Met with staff and students to advertise and ramp up excitement for the café concept. Hosted initial cafés with a teen leader team, food, and scientists from our local university. Could help my teen leaders be effective marketers via social media training, encouraging word of mouth promotion, and communication with teachers. TSCN Workshop attendees engaged with the morning speakers. 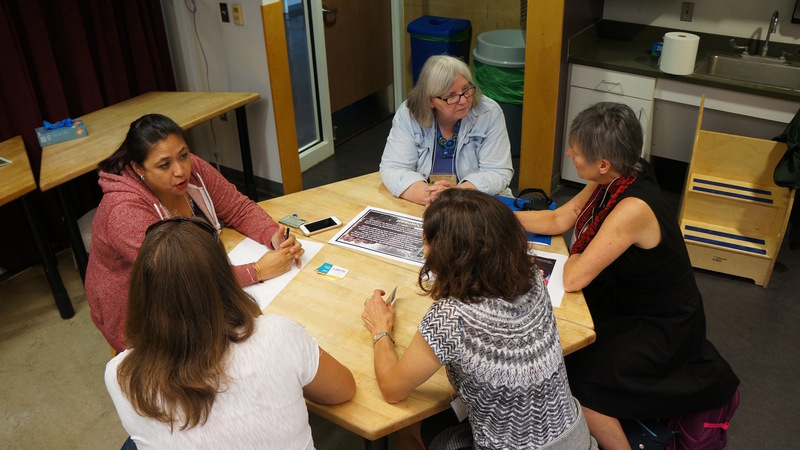 Engaged teens and help them create a successful teen science café. Found out what they want to learn about, found presenters to match interests, and built a successful program framework. Effectively gave my teen leaders more responsibility and control over their program, trusted them to do as much as possible themselves, stepped back, gave them opportunities. Launched and created a sustained program where I am the guide. Embedded existing interns into the teen science café in a meaningful way, deliberately planned both programs. Utilized the Network for ideas and support. Lined up a cohort of trained scientists for the entire year. Help teens talk more about science.